Just an hour outside Atlanta, Big Canoe is a private residential community unlike any other. The kind of place where you can separate yourself from the pressures of the everyday and spend time with those who matter most. A place that’s civilized by nature. 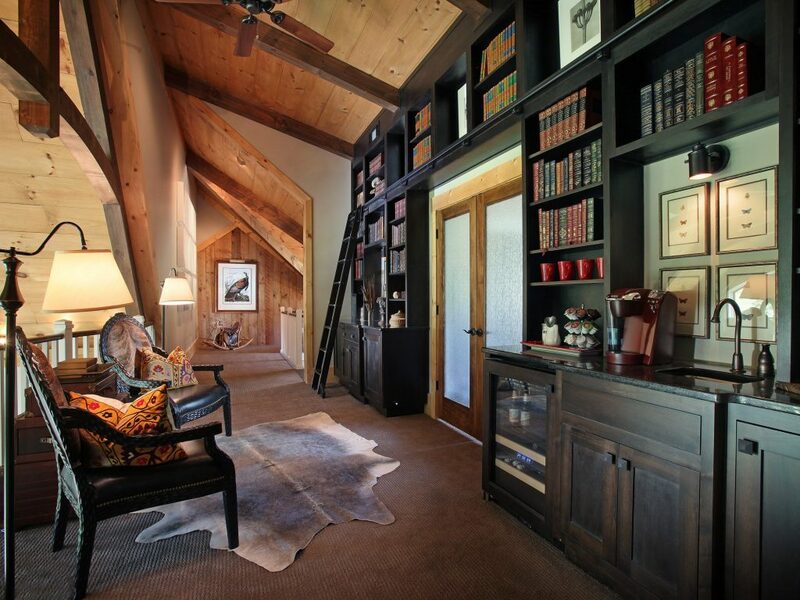 A mountain retreat that feels like home. This is canoe life. And you’ll only find it at Big Canoe. In today’s nonstop, fast-paced world, time is our most precious gift. Big Canoe’s convenient yet secluded location means less time spent driving to your mountain retreat and more time spent breathing the clean mountain air, teeing off, casting a line, lounging lakeside, reading a favorite book and sharing moments worth remembering with the ones who matter most. It’s the private residential getaway you’re looking for and it’s only an hour outside the city. The beauty of building a north Georgia mountain home is that there is plenty to do within the gates of Big Canoe and even more just outside them. Annual festivals include the Wildflower Festival of the Arts, Georgia Wine County Festival, Ellijay’s Georgia Apple Festival, Jasper’s Georgia Marble Festival, and the John C. Campbell Folk Art School Fall Festival. The charm of north Georgia is one more reason to come home to Big Canoe. Eagle’s Nest takes its inspiration from the building site located at 7217 Ridgeview Drive. The house has been designed to reflected a casual lifestyle with clean lines, useful spaces, natural materials and is easy to live in. The resulting home has been inspired by its natural surroundings and the expansive views of the north Georgia mountains. The main level has an open floor plan so the host and hostess are in full view of the entertaining spaces. 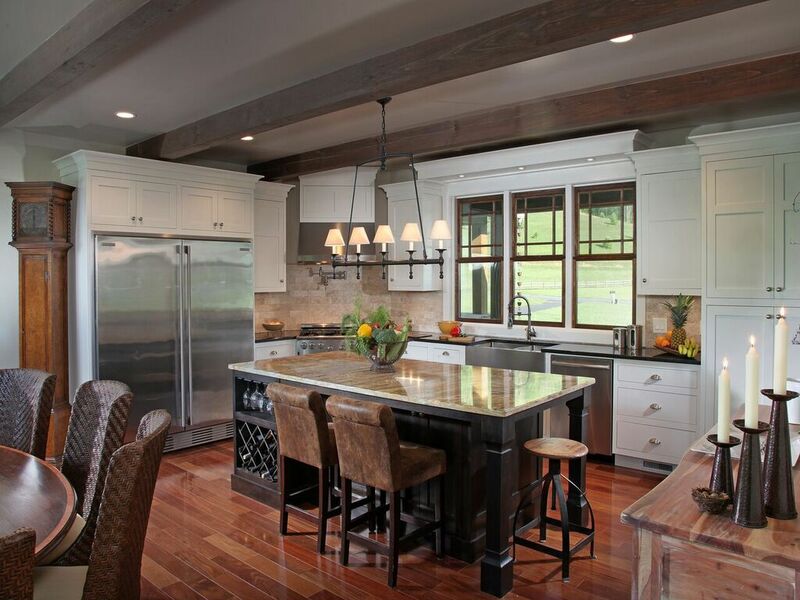 The gourmet kitchen has a clerestory dormer overhead that fills the kitchen and dining spaces with natural light. A generous pantry is a few steps away behind a “barn door”. The master suite has a private porch overlooking the valley below – an ideal place to sit with a cup of coffee to enjoy the morning air. The suite includes his and hers closets, the master bath has separate vanities, a soaking tub, custom tiled shower and and an enclosed “throne” room. The spaces are both beautiful and functional. The terrace level comfortably accommodates family and friends with three guest bedrooms, each with a private bath. The game room can double as your media space or second seating area. Additionally, an elevator shaft has been designed into the plan in case the owner wishes to add this amenity to their home. The Eagle’s Nest’s 3,500-square-foot design incorporates varying ceiling heights with rafter and beam configurations to help define rooms in the absence of walls. Well thought-out sight lines pull your eye toward different focal points inside the home as well as the outside views. The stunning white pine timber frame elements have been planned very carefully, incorporating a hybrid of conventional construction methods. All of the material selections were made to reduce maintenance and to improve energy efficiency. A two-car garage opens into the side entrance with plenty of storage, a powder room, and an ample laundry room. 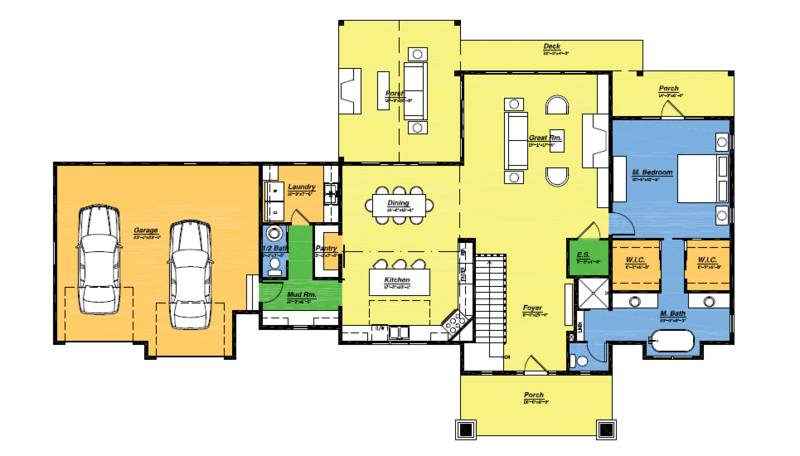 What constitutes a MRH Signature Home…. At Modern Rustic Homes we recognize that the process is as important as the end result. With over 35 years’ experience in design and construction, we deliver a finished home that has your signature as well as Modern Rustic Homes’ on it. We accomplish this with a relationship that is respectful and trustworthy , taking time to understand your vision and expectations. We merge creativity and credibility. At Modern Rustic Homes we also build to a quality level that provides you a home that is a pleasure to live in. Your new home is both modern and rustic: modern in that your home is equipped with the amenities, technology and mechanical systems that help make the home energy efficient and accommodating, and rustic in that we have made the home touchable and comfortable, with architectural details that are authentic and useful – an honest expression of form and function. A well-designed home promotes convenience and healthy living by thinking through your lifestyle needs and designing a home that supports how you live. We then make this deliverable by using excellent craftsmanship and quality products and materials. Listed below are some of the products and features that make our Signature Homes both well-built and thoughtfully designed. From I-285, take GA 400 to Hwy 369 exit. Turn left and go 12 miles to Yellow Creek Road. Turn right and follow to the end. Turn right, go ¼ mile to Steve Tate Highway. Turn left and go 1.5 miles to the main entrance of Big Canoe. Head southwest on E 1st St./Old Hwy 76/Old U.S. 76 toward Church St. Turn left onto US-76 W. Head southwest on E 1st St/Old Hwy 76/Old U.S. 76 toward Church St. Turn left toward Greenfield Rd. Continue onto Greenfield Rd. Turn left onto GA-52 E. Turn right onto Faucetts Lk Rd. Continue onto Steve Tate Rd. Continue onto Tate Hwy. Continue onto Steve Tate Rd. Continue onto N. Gate Station Dr. Continue onto Steve Tate Rd. Looking to Buy/Build in Big Canoe? I am interested in the Eagle's Nest Home that is under construction. Lot number if already an owner. Please tell us about the features, details, or lifestyle considerations for your home? Your budget is one of the most important components of a successful project. 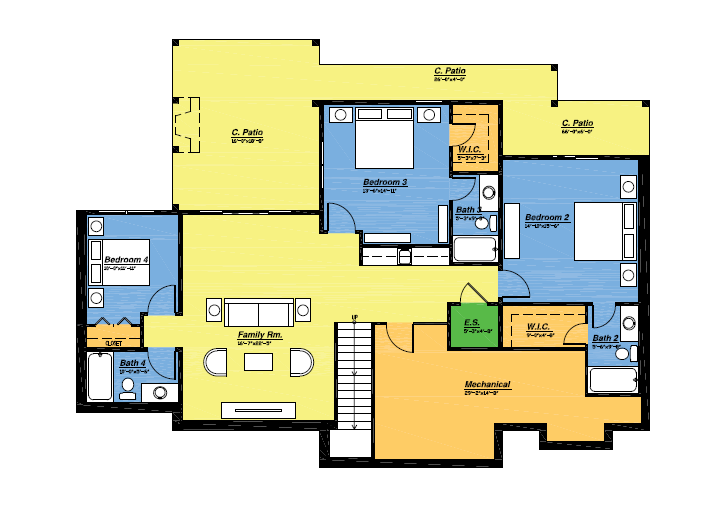 It provides us with a parameter that drives square footage, design & finish levels. There are also variables that impact the budget like site conditions, foundation requirements and zoning and permitting provisions. Then there are unforeseen costs like running into rock while digging a basement. For these reasons it is important to establish a budget number where you want to be and another number that you could accept if impacted by some of these variables.